The small village Wienrode is a district of Blankenburg and situated in the beautiful Harz foreland. Surrounded by plenty of forests, meadows and fields, hiking and nature enthusiasts will find a lot to discover. Spend your holiday in a very sunny and quiet location. The small holiday home lies directly at the edge of the forest - a great advantage for dog owners (who are very welcome here). The holiday home has comfortable and bright furnishings and features a fenced in and partially covered terrace. The garden has a grass play area for children that includes a sand box, swing and trampoline. There's also a table-tennis (ping-pong) table. A Finnish grill house and a fire pit invite you enjoy cosy evenings there. The Harz region offers its visitors multiple recreational opportunities: Hiking, fishing, cycling .... and much more. Swimming in the natural pool (5 km) or relaxing at the Bodetal thermal bath with a large sauna world and sound pool. The Harz region is also worth a trip during the winter: You'll find cross-country ski trails, toboggan runs and ski slopes with lift. The central location of the house offers many opportunities to explore the surrounding area and sights: The World Heritage city Quedlinburg with its stunning half-timbered houses or Wernigerode with its famous town hall (both 16 km) or the western town Pullman City in Hasselfelde (12 km). Climb the famous Brocken mountain or take the Brocken railway. Enjoy the many bike and hiking trails that run through the beautiful countryside. Castles, fortresses and lots of half-timbered houses will amaze you. Sehr schöne Umgebung, nah am Wald und Berg. Sehr große überdachte Terasse zum lange draußen sitzen und grillen. Sauber und ordentlich. Das Ceranfeld am Herd war eine Katastrophe zu bedienen. Der Fernseher war für uns ungewohnt zu bedienen und er hatte eine schlechte Bildqualität. 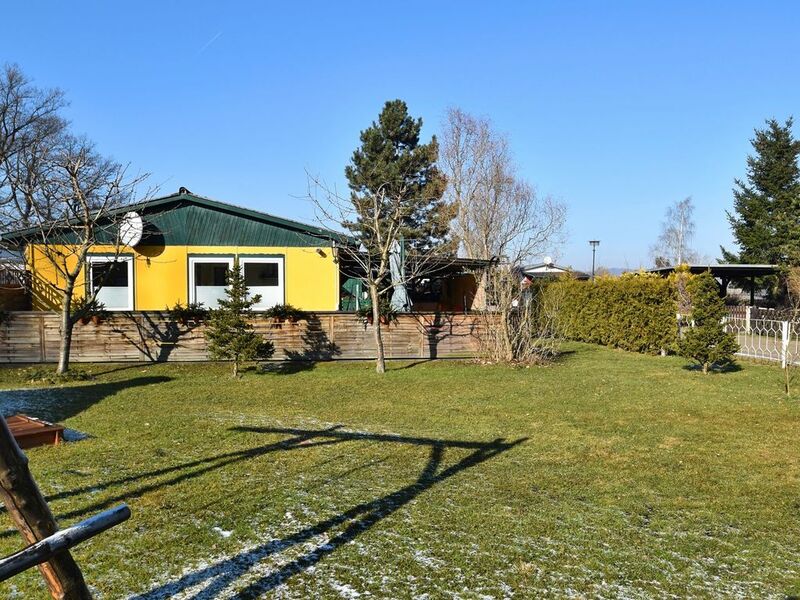 Sehr schönes Ferienhaus, alles super sauber und liebevoll eingerichtet, sehr freundliche Vermieter. Super sauberes ,gut eingerichtetes Ferienhaus in guter Lage ,auch mit dem Hund ..Freundliche Wirtsleute mit Lokalen Tipps !